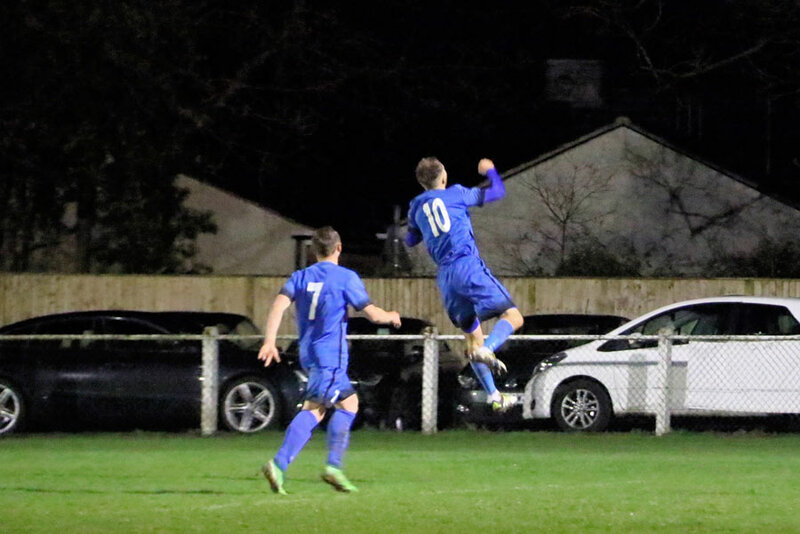 Jets first team stormed into their first cup final in four seasons when they beat Leverstock Green for the second time in four days, winning by 1-3 to reach the St Mary’s cup final. Jets last cup final was the St Marys when Wayne Gladdy managed his team to a first attempt cup win. Jets got the early goal on the slope when Sean Giordmaina latched onto Nick Kerley’s ball for the lead. Jets were in territorial control, and things became difficult for the home side when Henry Marku headed No2. That slope is worth two goals, so Jets felt they needed more. Jets pushed hard but Leverstock got their act together and became difficult to pass. Levi rallied, and Jets had a let-off when the home side thumped the bar and then applied long periods of pressure. 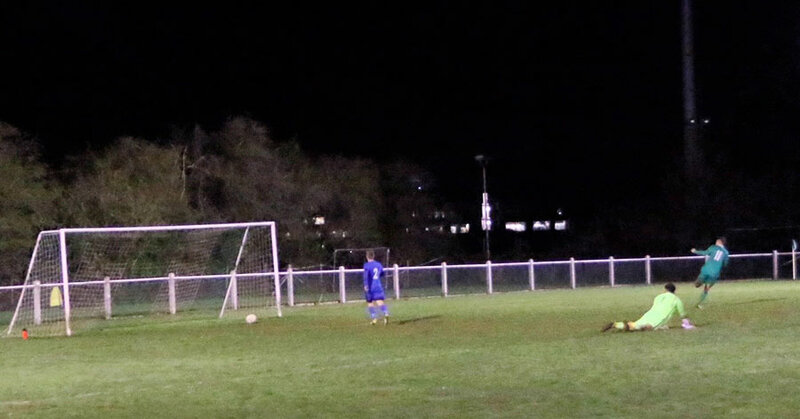 Jets countered, and Nick Kerley was denied when 1:1 by the keeper and Jets also hit the post as the game became open. 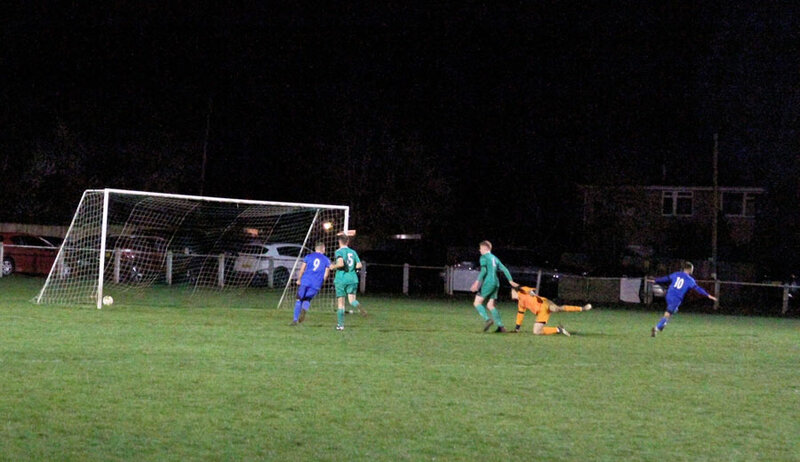 Luke Jones seals the match with Jets third. The second half started quite tame, and the expected onslaught for an early goal was not evident. 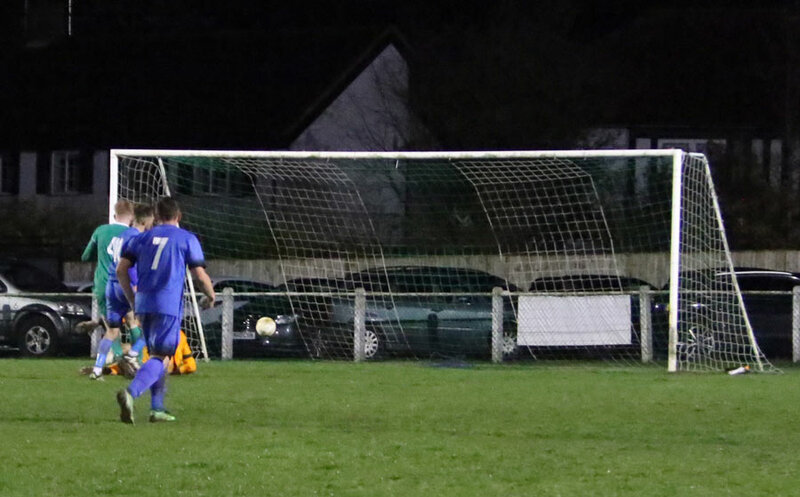 Then inexplicable slack play all but finished Levi off when Luke Jones was alert and caught the defender loitering on the ball and rounded the shocked keeper to score 0-3. 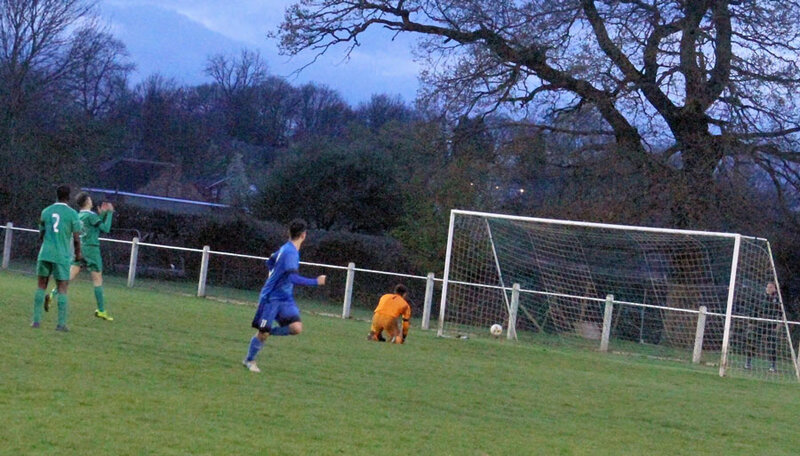 Leverstock rallied and latched onto a poor back pass to score. It wobbled if not scared the outcome as Jets played it out to reach the final in an excellent refereed match. Man of the match was a two-pronged challenge between Sean Giordmaina and Henry Marku. 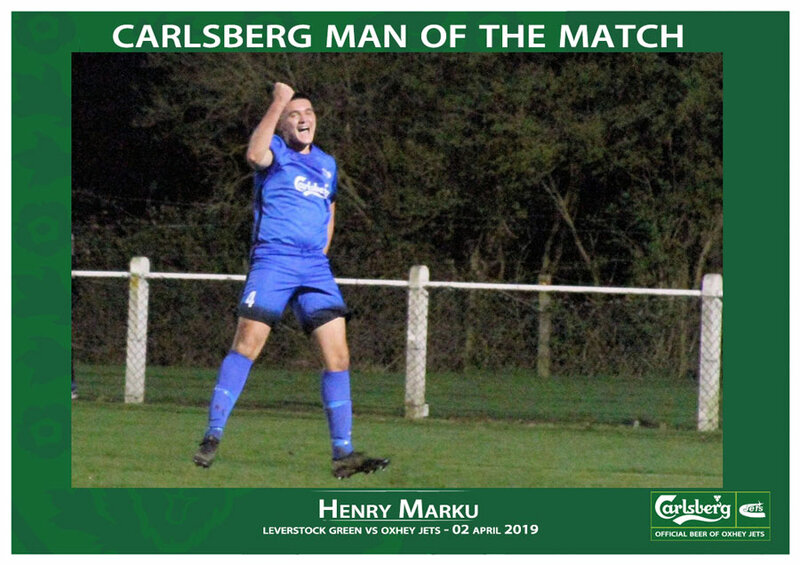 Manager Tim O’Sullivan decided to make the decision and gave the nod to promising youngster Henry Marku who has been a success of the remarkable resurgence of our Reserves this season. 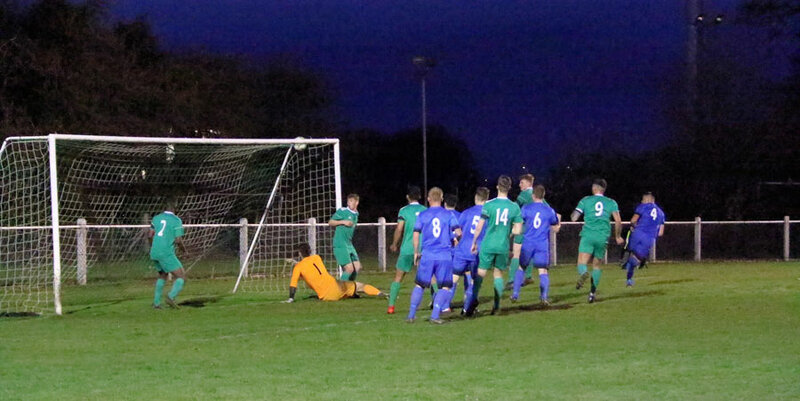 They have been supplying such players while still reaching a county cup final, leading their division and with an Aubrey cup semi-final to play as well. 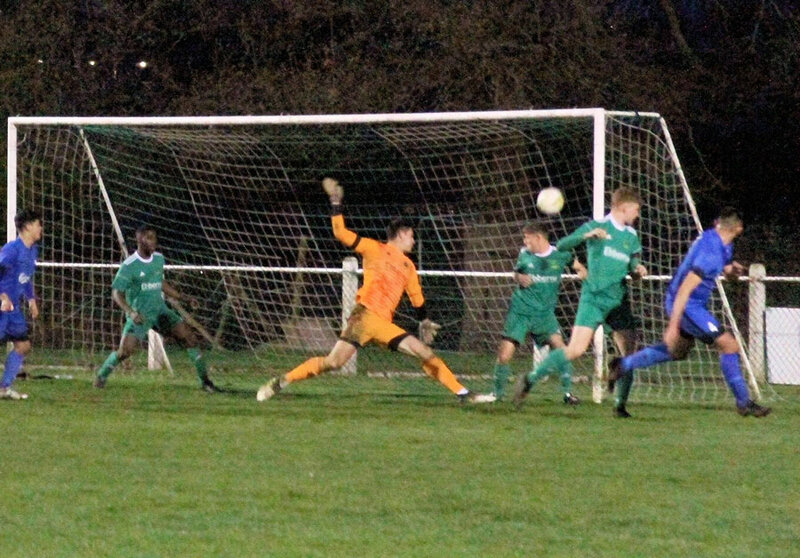 To add to Jets joy, the Reserves had a convincing 5-0 win over title favourites Bush Hill. Jets went 1-0 up within 3 minutes and didn’t look back. It was 3-0 at HT and two more in the second half made it 5-0. The Reserves were at the best, a high work rate and some fantastic football. Rawn Seale was the man of the match, banging in 4 goals and having an all round superb game. The Reserves next game is now next Tuesday night in the County Cup final against Royston Reserves at the Herts County Ground at Letchworth. What A Carlsberg night ! !